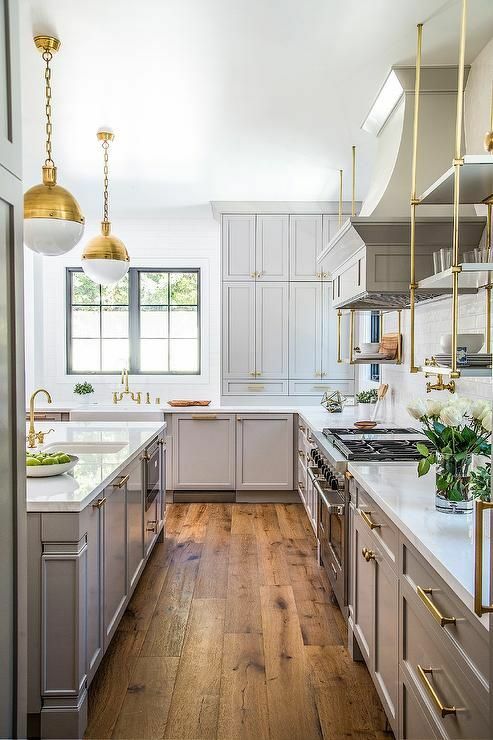 If you’ve been watching HGTV, flipping through interior design magazines, or touring model homes lately, you’ve probably seen one of today’s hottest trends for home: brass. But is this interior design flashback just a blip or should you start ditching all that chrome, nickel, and stainless? 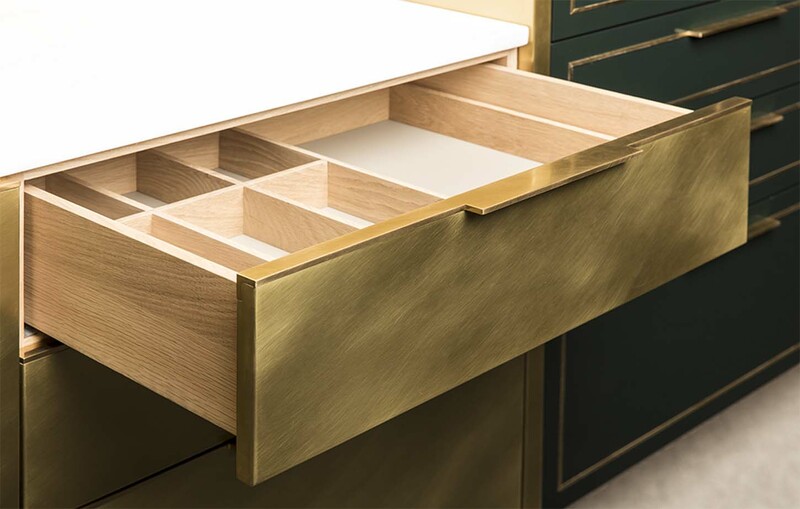 It’s true – what was once old is new again, and what started sneaking back into interiors in 2015 has stuck around, becoming more and more prevalent in chic homes and more readily available in a variety of styles and an ever-increasing array of home products. 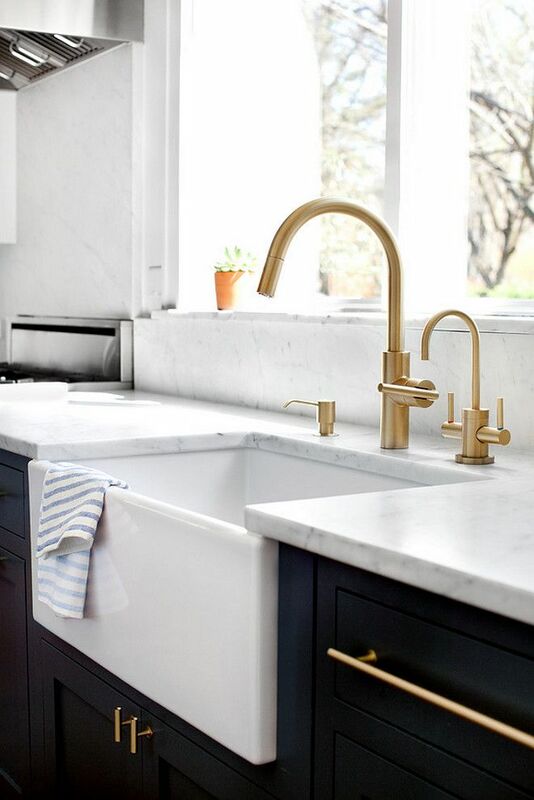 Of course, the fact that today’s brass is far more stylish than what we associate with, well, the brassy light fixtures of decades ago, has something to do with it. 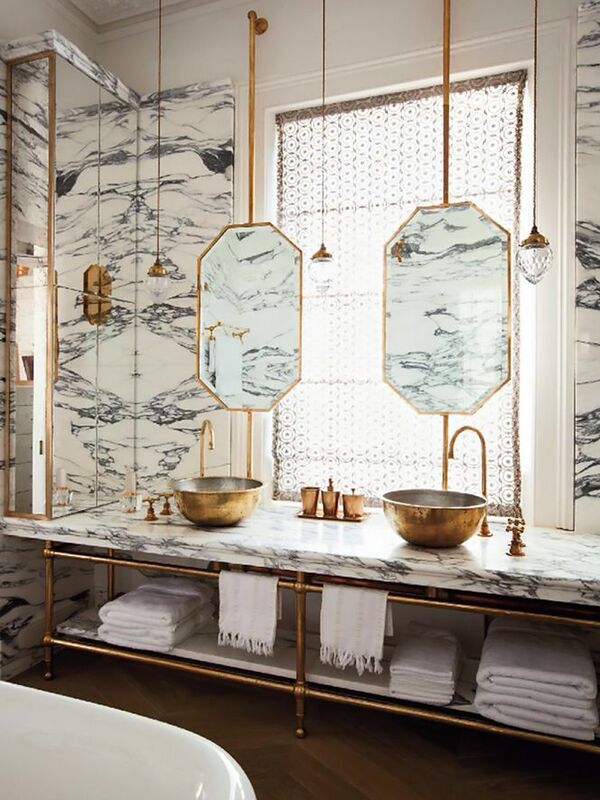 We’ve scoured the Internet for the best examples of brass décor today so you can get inspired to catch the brass ring in your home. 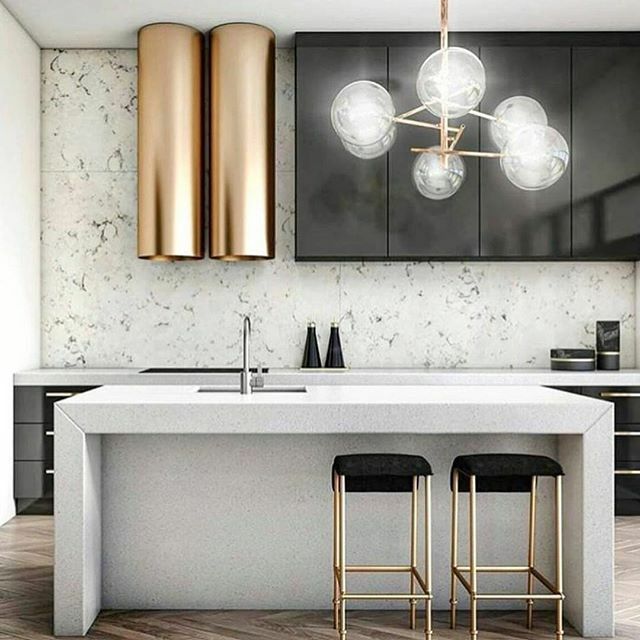 While you probably don’t want to go into brass overkill, some attention to accessories, like the pendant lamps over the island and the shelving that flanks the stove, ups the ante, bringing warmth to the space and counteracting the cool gray on the cabinets. 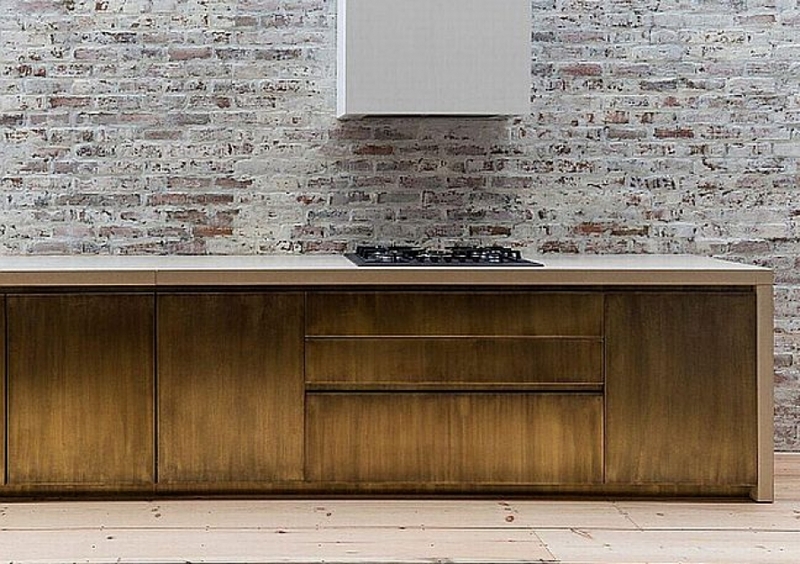 …or in this eclectic gourmet space.